You can find the license key for Comodo anitvirus in the One.com control panel, under your Office 365 user details. Log in to the One.com control panel and click Office 365. Click View key for the user you want the key for. Note: Before you can get the license key, you will need to activate Comodo Internet Security Pro. You can do this from the control panel. 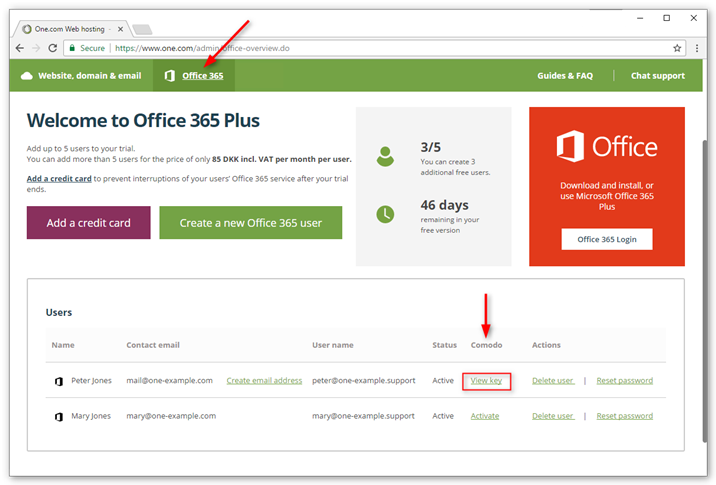 How do I create a new Office 365 user?